I believe the bottom reads: (ISIS): "Islamic State of Iraq and Ash-Sham"
Wikipedia: "The Islamic State of Iraq and the Levant (Arabic: الدولة الاسلامية في العراق والشام‎ - ad-Dawla al-Islāmiyya fi al-'Irāq wa ash-Shām) abbreviated as ISIS and ISIL (acronym in Arabic: داعش‎, Da'āsh), was established as an umbrella organization of Iraqi insurgent groups on October 15, 2006 under the name of Islamic State of Iraq. " fīl-'irāq waš-šām or Arabic: داعش‎dāʿiš), abbreviated as ISIS or alternately ISIL, is an unrecognized state and active Jihadist militant group in Iraq and Syria influenced by the Wahhabi movement. In its unrecognized self-proclaimed status as an independent state, it claims the territory of Iraq (as Islamic State of Iraq) and Syria, with implied future claims intended over more of the Levant - including Lebanon, Israel, Jordan, Cyprus and Southern Turkey. It was established in the early years of the Iraq War and pledged allegiance to al-Qaeda in 2004. The group was composed of and supported by a variety of insurgent groups, including its predecessor organisation, the Mujahideen Shura Council, Al-Qaeda in Iraq (AQI), Jaysh al-Fatiheen, Jund al-Sahaba, Katbiyan Ansar Al-Tawhid wal Sunnah, Jeish al-Taiifa al-Mansoura etc., and other clans whose population profess Sunni Islam. Its aim was to establish a caliphate in the Sunni majority regions of Iraq, later expanding this to include Syria. In February 2014, after an eight-month power struggle, al-Qaeda cut all ties with ISIS. In early June 2014, following its large-scale offensives in Iraq, ISIS is reported to have seized control of most of Mosul, the second most populous city in Iraq, its surrounding Nineveh province, and the city of Fallujah. ISIS has also taken control of Tikrit, the administrative center of the Salah ad Din Governorate, with the ultimate goal of capturing Baghdad, the Iraqi capital. ISIS was believed to have only 2,000-3,000 fighters up until the Mosul campaign, but during that campaign it became evident that this number was a gross underestimate", having claims by sources such as CNN as claiming that this terrorist organization may well be the richest terrorist organization worldwide after they overran and captured the vault of the central bank branch in Mosul, drawing several more followers and fighters to their cause. " During the battle of Mosul in June 2014, ISIS allegedly became the richest jihadist group in the world after looting $429 USD million from Mosul's central bank, according to the regional governor; a large quantity of gold bullion was also believed to have been stolen". This group came into existence first as "JTJ (Jama'at al-Tawhid wal-Jihad, "The Organization of Monotheism and Jihad"), then morphed in October 2004 to TQJBR (Tanzim Qaidat al-Jihad fi Bilad al-Rafidayn (The Organization of Jihad's Base in the Country of the Two Rivers) joining al-Qaeda, and after this it became known as AQI (Al-Qaeda in Iraq). In January 2006, the group merged with several smaller Iraqi insurgent groups under an umbrella organization called the Mujahideen Shura Council. On 12 October 2006, the Mujahideen Shura Council joined with four other insurgent factions and representatives of a number of Iraqi tribes partipated in a traditional Arab oath of allegiance known as hilf al-mutayyabin ("oath of the scented ones"). The following day announced the establishment of the Dawlat al-'Iraq al-Islamiyya, Islamic State of Iraq (ISI). 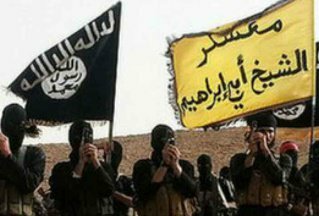 On 9 April 2013, after the group expanded into Syria, it adopted the name "Islamic State in Iraq and the Levant", also known as "Islamic State in Iraq and al-Sham". It is abbreviated as ISIS or alternately ISIL. The final "S" in the acronym ISIS stems from the Arabic word Sham, which in the context of global jihad refers to the Levant or Greater Syria." On 29 June 2014 ISIS has announced in an official communiqué declared "it has formed a Caliphate, becoming the Islamic State, a Sunni-governed nation containing rebel held territory in Syria and Iraq. In doing so the rebel group changed its name as well to Islamic State.". They have also declared declared "its chief, Abu Bakr al-Baghdadi, "the caliph" and "leader for Muslims everywhere". Additionally "the legality of all emirates, groups, states and organisations becomes null by the expansion of the caliph's authority and the arrival of its troops to their areas," said the group's spokesman Abu Mohamed al-Adnani. "It was the outbreak of the Syrian war that presented Baghdadi with the opportunity to expand his cause. He sent a lieutenant, Abu Mohammed al-Joulani, to create the Nusra Front and fight the Assad regime. From there, his rise gathered pace and he declared in 2013 the takeover of Nusra to add the Levant to the Islamic State of Iraq. Baghdadi moved to Syria and ignored pronouncements by the leader of al-Qaeda, Ayman al-Zawarhiri, that the merger with Nusra was invalid. That schism deepened in April of this year, when the ISIL declared that "al-Qaeda is no longer the base of jihad... its leadership has become a hammer to break the project of the Islamic state... al-Qaeda's leaders have deviated from the correct paths". "A common theme among European members of ISIL is that Baghdadi represents a continuation of the ideals expounded by Bin Laden and that Zawahiri has failed to continue that line." This group has even claimed that they are redrawing the borders set up by the Sykes-Picot Agreement of 1916. "The agreement is seen by many as a turning point in Western-Arab relations. It did negate the promises made to Arabs through Colonel T. E. Lawrence for a national Arab homeland in the area of Greater Syria, in exchange for their siding with British forces against the Ottoman Empire. 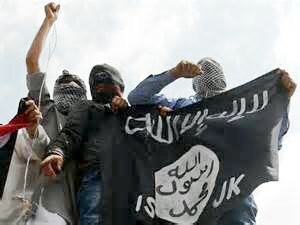 Almost 100 years later (2014), the jihadist organization ISIS uses Sykes-Picot as their rallying cry and have conquered Mosul and parts of northern Syria to form an Arab Caliphate along sectarian lines rather than definitions of European diplomats." The jihadist terror organization known as Islamic State (IS), formerly as ISIS or ISIL (Islamic State of Iraq and Syria or Islamic State of Iraq and the Levant) was outlawed in Germany by the Federal Minister of the Interior on 12 September 2014. The days before that, there were some debates if this ban would be legally possible at all, as the ban is based on the "Vereinsgesetz" (Law on Associations), and the IS was not viewed as having association-like structures in Germany, but only a loose network of supporters. The ban includes (of course) the ban of symbols used by the IS, including three versions of the IS flag . The IS flag was already used a couple of times, for instance it sparked protest in Saarbrücken, when hoisted from a residential building [2, 3]. However, the ban of symbols connected to the IS is somewhat controversial among muslims, as some see the IS flag just as a combination of symbols that are sacred to any muslim . In my not so humble opinion, I'd just suggest that the symbolism (in particular black flag and so-called seal of Muhammad) are modern-era inventions of jihadists that have neither historical basis nor islamic tradition supporting them. I would be interesting, though (and this is of course mainly for Arab researchers), to thoroughly research the early flags of Islam as well as the history of such symbols like the so-called seal of Muhammad. It seems more and more Western media are using the derogatory DAESH when they’re talking about the Islamic State in Iraq and as-Shām (commonly known as ISIS). As nobody seems to have the faintest idea what DAESH stands for, here’s an attempt to explain. At first the name DAESH was merely an acronym indeed. Activists and more moderate rebel coalitions used it as referral to Dawlat al-Islāmiyya fī al-Irāq wa s-Shām. But it didn’t take long before all kinds of interpretations arose. In se the Arabic word داعش doesn’t even exist. But if we look at the tone of voice within circles (opposing ISIS) ever since they introduced the acronym, we might conclude the acronym has a double meaning. Which ever theory suits best, it is quite clear that the acronym DAESH (داعش) is mostly, if not only, used by opponents of ISIS in Syria." 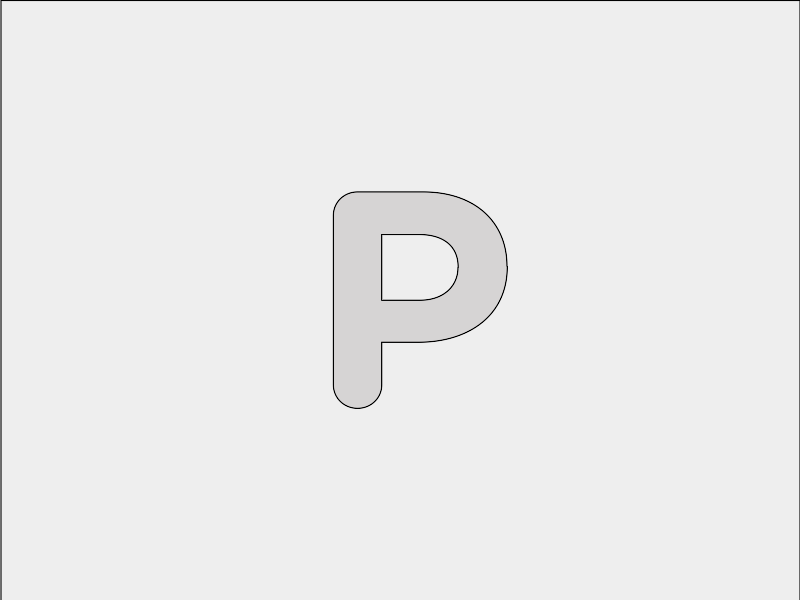 This is a recurrent type of flag. It was reported in 2011 and again in 2012. 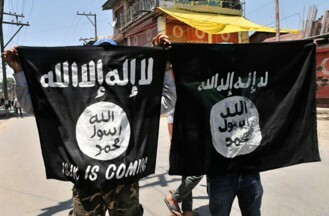 Good article on Time Magazine about the relevance of the symbols on this flag http://time.com/3311665/isis-flag-iraq-syria/. Some of this could be abstracted for the pages on FOTW. The black and white standard of the Sunni militants gives some insight into how the group sees itself. The world is now becoming accustomed to seeing images of the stark black-and-white flag whose bearers are threatening to remake the Middle East and who have already taken responsibility for numerous acts of murder, massacres and ethnic cleansing across Iraq and Syria. But what does the standard of the self-declared Islamic State–also known by its previous name, ISIS, or the Islamic State in Iraq and greater Syria–tell observers about the goals of the organization and its supporters? Volumes, say experts in Islamic militant movements. The color, the calligraphy, and the choice of words on the flag all serve as a key to reading the group’s history as well as unfolding a road map of where it sees itself going. The flag is black with the words La 'ilaha 'illa-llah – "There is no God but God" – emblazoned across the top in white in a somewhat coarse, handwritten Arabic script. It’s a very different kind of typeface from the more elaborate calligraphy on the Saudi flag, for example, that also includes this same shahada, or Islamic statement of faith. Even more rough around the edges is the white circle in the middle of the ISIS flag. Inside it are three words: "God Messenger Mohammed." It’s an interesting choice of word order given that the second part of the shahada is "and Mohammed is God’s messenger." The reason for the circle and those words is that they’re a copy of what’s known as the Seal of Mohammed, which the prophet himself is believed to have used in his lifetime to seal letters he wrote to foreign leaders, asking them to join him. A version of the seal purported to belong to Othman, one of Mohammed’s companions, is now permanently on display at the Topkapi Palace in Istanbul. The use of the seal, critics of ISIS say, is intended to add a veneer of historical authenticity to its mission. "The power of the flag comes from the fact that the word 'Allah' is on it. The word itself is seen as sacred by Muslims and hence it becomes sacrilegious to desecrate the flag," explains Hayder al Khoei, an associate fellow of the Middle East and North Africa Programme at Chatham House in London. A week ago, for example, there were protests in Beirut at which ISIS flags were burned, with activist starting a #BurnISIS campaign meant to rival the ALS ice bucket challenge. Afterwards, the Lebanese Minister of Justice, Ashraf Rifi, asked that the burning of the flag be banned and that violators be given the "sternest punishment," because burning anything with the word Allah on it is viewed as an insult to Islam. The issue has stirred up emotions across the Islamic world. An Egyptian feminist, Aliaa Magda Elmahdy, recently held an extremely graphic protest intended to desecrate the ISIS flag, stirring up further controversy. "The words are what makes the flag so powerful," al Khoei says. "It is a very weird and awkward situation for Muslims because ISIS is an evil terrorist organization with an actual holy flag." The black and white flag’s meaning is further complicated by the fact that ISIS did not create the image it bears. Rather, it appropriated the flag from other jihad-oriented groups, says Magnus Ranstorp, an expert on Islamic fundamentalist movements and the Research Director of the Centre for Asymmetric Threat Studies at the Swedish National Defense College. Al Qaeda in Iraq, al Qaeda in the Arabian Peninsula (active in Yemen and Saudi Arabia), and the al-Shabab group in Somalia have all used the same flag, he says. "The most important thing is the color. This raya, the solid blank flag, was the Prophet Mohammed’s war banner," he explains. "This flag compresses time and space – it harks back to where they came from and where they are going. It is not just the color of jihad and of the caliphate, but it represents the coming of what some believers see as the final battle and the day of resurrection." In other words, he explains, there’s a kind of Islamic end-of-days element in the flag, pitting the forces of Islam against the Christian West. To some Muslims, the choice of flag is worrying because of the symbolic weight of its absence of color. A look at other Islamists militant movements in the region makes them seem almost tame by comparison; Hamas’ flag is green, Hizbollah’s yellow. But like the flags of other jihadist groups the al-Nusra Front and Hizb ut-Tahrir - which also seeks a worldwide caliphate to replace nation-states laid out by Western powers nearly a century 100 years ago - the ISIS flag is set in stark, featureless black. "The flag represents a lot things outside observers don’t realize, but people in the Middle East understand the importance of colors," says Ranstorp. "The point of the war banner is showing the will to destroy the world order. If one understood that properly, you could use that to detect who is really involved." For example, he says, the law enforcement and intelligence communities could be savvier about detecting who among youth in Westerns countries is being drawn to the ideology and might end up getting lured to fight for ISIS abroad. "There is a meaning to these symbols, that could be utilized, but we haven’t really. In many places they are selling rings with the same Seal of Mohammed. You’ll find it on many Islamic State social media sites. This symbol tells us where they have come from, the sacredness of their mission and what they want – a caliphate." The now well-known ISIS flag, with IS and JK written on it. Hopefully somebody can identify this ISJK flag version [on left]. No attributable source. Caption reads "ISJK Is Coming". This is simply a variant of the IJSK Flag with the slogan "IJSK is coming" [added for the English speaking West]. The is obviously a variety of the ISIS flag, but with unknown subscript. Any guesses? I speculate that we could be looking at another ISIS Training Camp flag, perhaps for one of those other reported 64+ training facilities used to train their fighters? The fact that they are not hiding their faces could indicate something, and the dramatic shooting angle seems staged to impress, perhaps to recruit? Obviously the text on the flag needs to be translated, something beyond my abilities. Indeed, there are two "Yarmouk Brigades" as Randy Young mentioned in his May 12, 2015 post: "One is the Yarmouk Brigade, now known as the Yarmouk Army, which is a part of the Southern Front and the Hawks of the South coalitions against the Asad government in the Syrian Civil War. The second group is the Yarmouk Martyrs Brigade. It is also an anti-Asad rebel unit in southern Syria, but this one is closely aligned with ISIL/ISIS, likely using the ISIL black flag." Hence, the flag submitted by William Garrison is that of Yarmouk Martyrs Brigade, an ally of ISIS. Perhaps you might enjoy Ted Kaye's recent short interview on the ISIS flag? Very interesting insight regarding their flag. However, I have to point out some remarks regarding the interview. "VIGELAND: How do ISIS' uses of its flag compare to previous propagandists, say, Hitler's Germany, for example? KAYE: Well, I think it's very similar of any political movement or military movement to use flags in scenes of its military. It's interesting to me to see the images of the flag where they appear to be mass produced. They always look pristine. They haven't been carried in battle. And sometimes the flag is used to mark territory. But I think most importantly, it's a message from the Islamic State saying we are here." My take on this is that yes, indeed this flag has not been carried in battle per se, since most of the battles are guerrilla war or low intensity condlict types of battles, where ambushes and quick raids are commonplace and not traditional 18th century battles with column formations. So no, this flag has not been present in battle but it has been used to mark territory and as the Mr. Kaye replies, it's a message to say we are here, since their motto is precisely "باقية وتتمدد "Bāqiyah wa-Tatamaddad" "Remaining and Expanding". Variants of this flag (that is, the same flag, but with inverted color scheme, so the emblem or Muhammad's seal in the middle is not white, but flag) can be seen in Ansar al-Sharia (Tunisia), and I will post some information regarding this. The yellow flag with black inscription reads: معسكر الشيخ أبي إبراھيم which means: "Camp of Sheikh Abu Ibrahim". This is one of the indentified 64 training facilities of ISIS installed for training the fighters in Iraq and Syria since 2012. This one belongs to the Anbar provincial division of the ISIS in Iraq, established around the first days in December 2014. There's a flag, which in that website, the source credited is "Photo via Wikipedia / Creative Commons", and no further information is given. The same flag as above appears here as well. (Source) It mentions ISIS' training camps in Iraq, and labels the article as "Daesh (Isis in Arabic acronym) victory", so maybe it is the Isis victory flag or any specialized Unit, I'm not sure. This Iraqi Forces Military Forum page lists the flag as belonging to ISIS, with other images as well, but no further information is mentioned.